We’ve added a new section of articles to the Shiny Development Center. 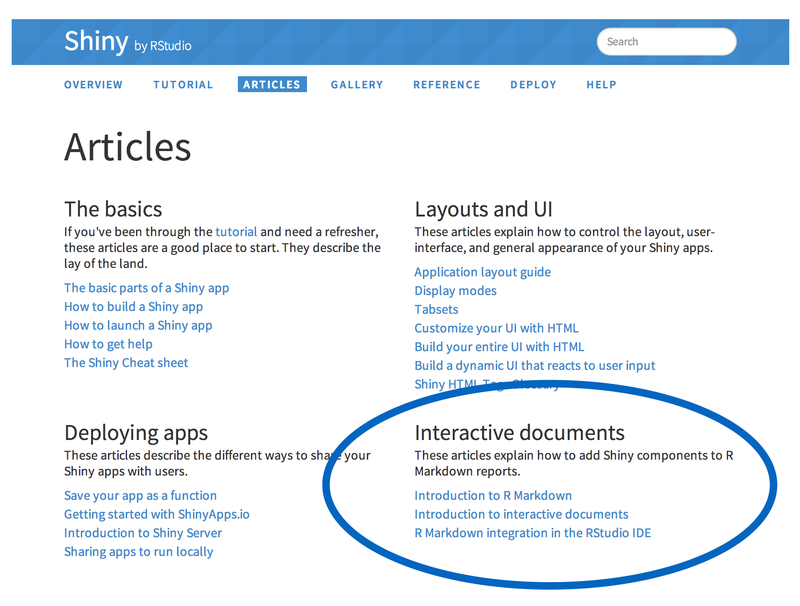 These articles explain how to create interactive documents with Shiny and R Markdown. Use R Markdown to create reproducible, dynamic reports. R Markdown offers one of the most efficient workflows for writing up your R results. Create interactive documents and slideshows by embedding Shiny elements into an R Markdown report. The Shiny + R Markdown combo does more than just enhance your reports; R Markdown provides one of the quickest ways to make light weight Shiny apps.